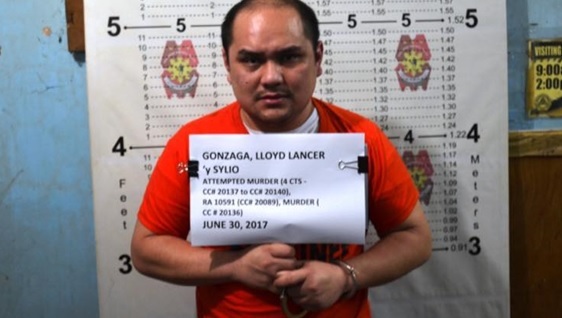 Lloyd Lancer Sylio Gonzaga, one of the four suspects in the brazen and grisly murder of Atty. Manuelita “Mia” Mascariñas-Green was arrested by operatives of the Criminal Investigation and Detection Group (CIDG) XI and CIDG VII on Friday, June 30, 2017 in Davao City. Gonzaga was collared by the CIDG after he reportedly stepped outside the residence of a lawyer in Barangay 23-C, Juan Luna St., Davao City. Police Senior Inspector Edwin Mateo Lacostales, Bohol-CIDG Provincial Officer confirmed the arrest of Gonzaga expressing his appreciation for the relentless efforts by his fellow officers to bring to justice the killers of Atty.Mia. According to a post operation report furnished to the Chronicle, a 22 man “manhunt team” led by Police Superintendent Warren Dablo and CIDG7 acting as the lead units conducted an operation on Friday that led to the arrest of Gonzaga. Gonzaga was arrested on the strength of three warrants of arrest issued by Regional Trial Court (RTC) Branch 1 Presiding Judge Lindecita Arcamo for murder, violation of Republic Act 10591 known as the Comprehensive Firearms and Ammunition Regulation Act issued by RTC Branch 48 Presiding Judge Jorge Cabalit and 4 counts of attempted murder issued by RTC Branch 3 Presiding Judge Leo Moises Lison. Gonzaga was also identified as member of the Verano gun-for-hire group according to a “development report” submitted to the Davao City Intelligence Branch. The suspect is now detained at the CIDG lock-up jail in Davao City after booking and documentation procedure was completed. CIDG Regional Chief Police Superintendent Royina Marzan Garma told DYRD Tagbilaran by Night that Gonzaga will be brought to Bohol on Monday to face criminal charges for murder, illegal possession of firearms and attempted murder. The murder of Atty. Mia in the afternoon of February 15, 2017 sparked public outrage over her brutal killing after Gonzaga and his cohort, Romarico Templado Benigian and two unidentified persons pumped 27 bullets into the car of the 49 year old lawyer with 8 bullets that riddled her body. Stuart James Green, a British national filed murder and multiple attempted murder complaints against the assailants on February 24, 2017 in a five-page complaint-affidavit stating “I am filing this case as the husband of a murdered wife, father of three minor children and employer of their nanny”. The affidavit of the nanny described their helplessness as she witnessed Gonzaga and Benigian drill four bullets on the left neck of Atty. Mia, one to the right neck, and three at the head while shielding with her body the three children who were seated in the backseat. According to the nanny who has been with the Greens since 2013, Benigian shot her Ate Mia at the driver’s side while Gonzaga was firing at the right side even as the eldest daughter was shouting at the assailants to “stop”. The nanny saw Benigian open the left front door and fired several shots at point blank range at the bleeding lawyer while Gonzaga left the scene of the crime after he failed to unlock the right front door with its side window mirror shattered. A beaming Benigian pointed his handgun at them but failed to fire apparently running out of bullets or his gun jammed and left after he noticed onlookers approaching the car, according to the nanny. 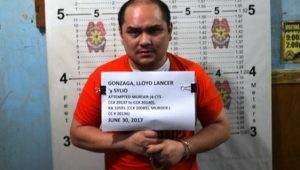 But Gonzaga and Benegian in a 19-page joint counter affidavit boldly claimed that they were nowhere at the scene of the crime at around 4:50 in the afternoon of February 15, 2017 at the corner of Zamora and JA Clarin Sts., Barangay San Isidro, Tagbilaran City. Gonzaga said that he and his wife left Panglao for Davao City via Jagna in the evening of February 14, 2017, a day before the murder and was in his parents residence in Lotus St., Ladislawa village, Buhangin, Davao City on the day of the killing of Atty. Mia. Benigian also claimed that he was at the premises of Alona Embrace Hotel in Tawala, Panglao when the crime was committed. 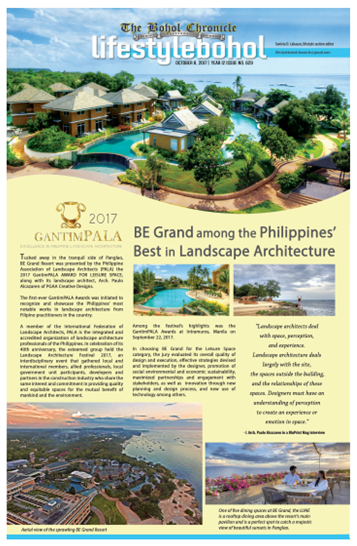 A bitterly contested piece of prime property in Tawala, Panglao that included the Alona Embrace Hotel involving the mother- in-law of Gonzaga is believed to be the motive behind the killing of Atty. Mia.